Some of you already know that I only recently learned how to ride a bicycle. Although it was always a little embarrassing admitting to people that I did not know how to ride a bike, I was never motivated or interested enough to learn. 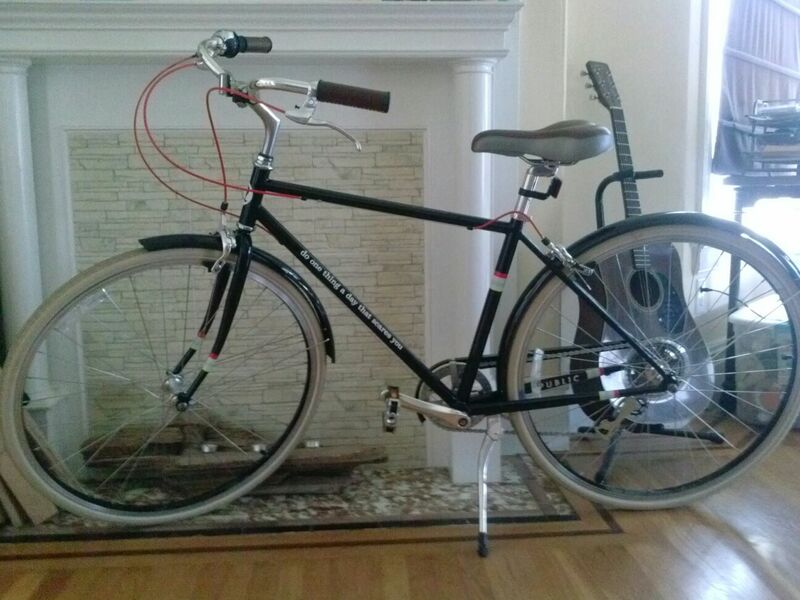 At the beginning of this year, I was gifted my very first bicycle from my friends over at Lululemon and Public Bikes. It was love at first sight! 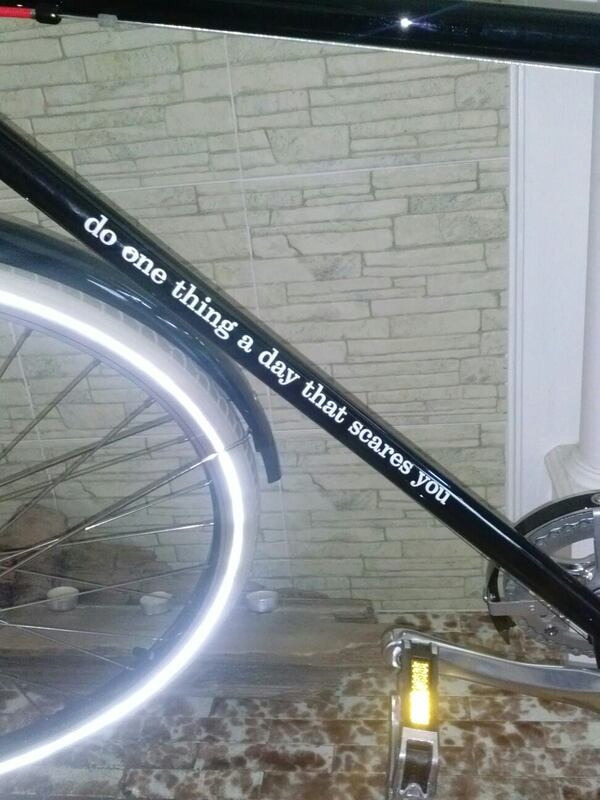 I think my bike is beautiful and it has the words “Do one thing a day that scares you” printed on the frame. Okiedokie, NOW I was motivated to learn to ride this beauty. I rallied up a dear friend who has infinite patience and off we went to learn how to ride a bike in Golden Gate Park. SUCCESS!!! My ride in the park was fun and I only freaked out for most of it. 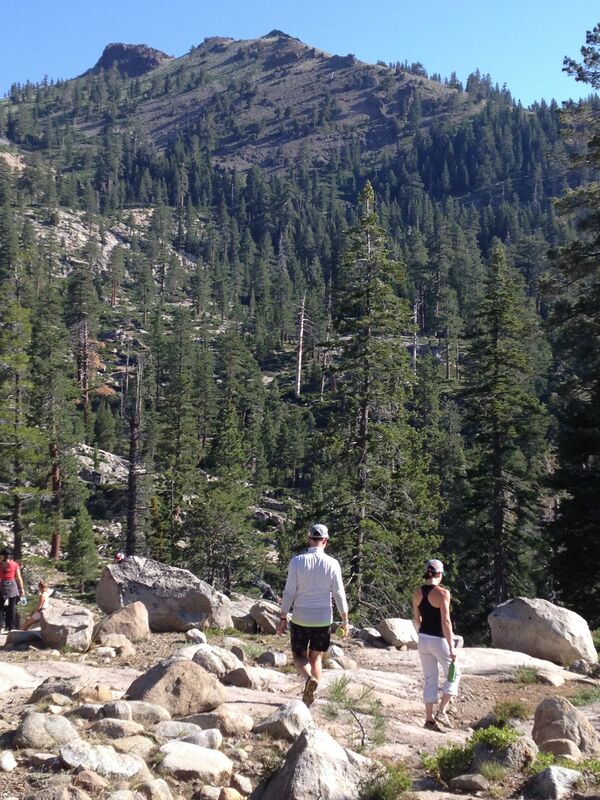 Lets cut forward to my holiday in Mammoth Lakes where I crashed into another rider and split my ear open and bruised my shin bone so bad that my leg swelled to the size of a football. Here is where my DIY ice pack comes in. 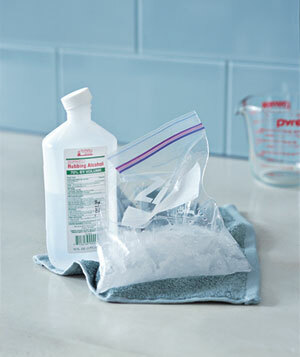 I needed to ice my leg constantly and found this little recipe online that works really well. It has been good having an ice pack or two or four at home for achy shoulders after climbing or random injuries here and there. When it’s frozen, wrap with a towel or cloth of some sort and apply. 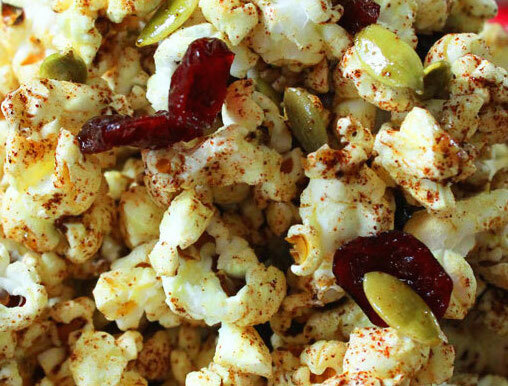 I stumbled on this healthy coconut popcorn snack recipe and feel it is a MUST share. If you have been to the movies in the past, I don’t know…EVER, you have most likely been suckered into buying a big, salty, buttery bag of bright yellow popcorn. Why? because popcorn is delicious, simple! I also heard, and don’t quote me on this, but I heard that a medium bag of popcorn and a medium soda have the same number of calories as three Big Macs. WHAT? I can’t wrap my mind around how that is possible, but I have chosen to make my own. Pop the popcorn kernels in the melted coconut oil. Meanwhile, heat the remaining coconut oil and raw honey over medium-low heat in a small saucepan, until the honey has melted and is fully incorporated into the oil. Stir the spices into the oil and honey mixture. Working in handfuls, put the popcorn in a large mixing bowl and pour the spice mixture over the top a little at a time (You can pour the spice mixture directly over all of the popcorn, but doing it in small batches will ensure that it’s fully incorporated.). Mix to combine. Continue until you have used all of the popcorn and spice mixture. Stir in the pumpkin seeds and cherries. This popcorn is best served immediately, but will last stored in an airtight container, in a cool, dry, place for up to 2 days. Himalayan Pink Salt is purer and higher in mineral content than table salt, so the flavor is stronger. If you use a different variety of salt, you may want to add more. Foam rolling is essential in the recovery of tight, overworked muscles. By using your own body weight you can perform a variety of self massage techniques to break up trigger points, soothe tight muscles and increase blood flow and circulation. A foam roller can help release tension in connective tissue, work out knots in sore muscles and also stretch muscles and tendons. Here are a few of my favorite stretches. Start by coming to forearm plank, with both of your thighs on the roller (be sure to engage your abs to protect your lower back). Roll back and forth from your hip to your knees. If you would like to increase the pressure, try lifting one thigh off the roller and leaning into the roller with the leg you are massaging. Roll each leg for 60 seconds. Sit on the floor with the foam roller under your knee and your legs extended straight over the roller. Roll back and forth until your hamstrings feel loose. To increase the pressure, try crossing one leg over the other. Place the tennis ball under one of your legs while sitting on the ground. I have found that the best results come from elevating the leg that is not being rolled. Flex the foot of the leg you are rolling (by pulling toes toward you). Here you can really focus on any tender spots. This is one exercise that i have a true love/hate relationship with. It is quite intense when you first start rolling this area, but if you are consistent and patient, it will begin to ease up after a few sessions. 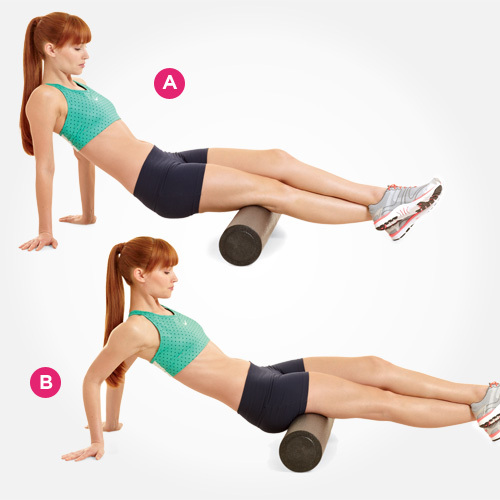 Lie sideways with the foam roller under the side of your thigh. Start from the hips and roll slowly all the way down to your knee.. As uncomfortable as this is, try to spend a little extra time holding on the more tender areas you encounter. Roll each leg for 60 seconds. 4. Glute and Piriformis Massage. This is another stretch that I feel a tennis ball targets the problem areas a little more clearly, but you can try both. Sit with your buttocks on top of the foam roller. Bend your knees, and cross the right leg so that the right ankle is resting over the left knee. Shift/tilt your weight to your right side. Roll over the buttocks until you feel the tension in your glute, again holding in areas that feel especially tender (this is more apparent when rolling with a tennis ball). Repeat on other side. I’m not the most hair savvy person. I can do a ponytail and a side braid, but that’s about the extent of my hair skills. I found this quick little bun idea and I am loving how easy it is to do. Enjoy! 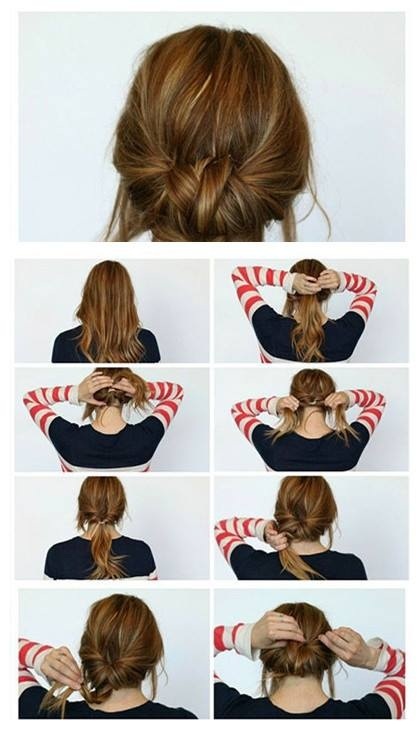 Simple and pretty bun idea.